The balance bike is the ideal preliminary stage to riding a unicycle. Riding it trains balance and quickly establishes a sense of achievement for great motivation when training. Many schools offer courses for riding the acrobatic vehicle in after-school clubs or extra-curricular classes. Riding requires lots of skill and a perfect sense of balance, as well as a healthy dollop of courage – it's really not so easy. For those who want to begin with an easier version of unicycling, the balance bike provides the perfect opportunity. The familiar riding characteristics and the support of the additional in-line wheels give a feeling of security when practising. Quick progress enables the rider to train with eagerness and lots of motivation – it develops balance and makes it much easier to get used to the unicycle. 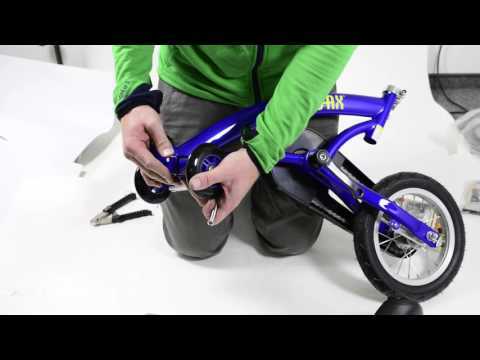 A great combination of a unicycle, kickboard and bicycle for a useful introduction to the world of unicycling – the Qu-Ax balance bike!